With the recent news of Halo 5 Guardians not having a split-screen option the fanbase went wild. But we could all find some kind of comfort in knowing that playing the Halo 5 campaign co-op would not require Xbox Live Gold... Right? "I need take a moment to make an important correction on something we miscommunicated in the story. I misspoke during the interview when stating that online co-op campaign would be supported with an Xbox Live Silver account. Co-op campaign will require Xbox Live Gold to play. I want to extend my sincere apologies to our fans, and to Game Informer, for this error and any confusion it has caused." Luckely, in order to set things straight, we will get a 14-day Xbox Live Gold trial card with Halo 5 so you'll still have the oppertunity to play Halo 5 co-op for up to 2 weeks. Next up we got a confirmation that our classic Halo theme is making a return. Ever since Halo 3 we've had a distinct lack of our beloved monk chant in the Halo games. They weren't gone completely but they were way too subtle. 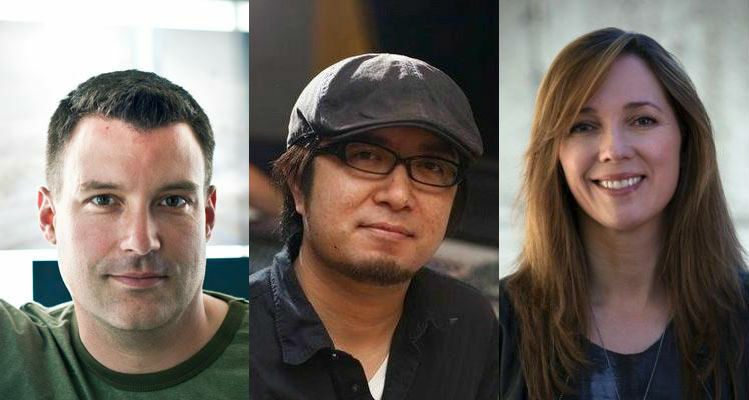 So Kazuma Jinnouchi, the music composer for Halo 5, has decided to bring back the Halo choir. "We wanted to bring the old Halo theme back. 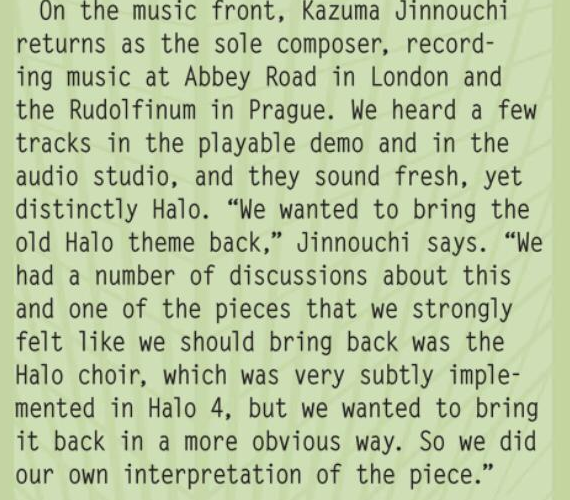 We had a number of discussions about this and one of the pieces we strongly felt like we should bring back was the Halo choir, which was very subtly implemented in Halo 4, but we wanted to bring it back in a much more obvious way, So we did our own interpretation of the piece." We'll just have to wait and see what their 'interpretation of the piece' is. Lastly we get a confirmation that all of the upcoming Halo games will get a beta. After the terrible launch of the Master Chief Collection 343i vows to never release a Halo game without beta testing it first. They claim to have been a bit too ambtious when it comes to releasing 4 different Halo games on 1 disc, and therefor learned the importance of offering a beta. "There is so much we learned with the Halo 5 beta," she said. "There is actually stuff we took from our Master Chief Collection--learnings that we were able to put into the beta. Going forward, you will never see a Halo game coming out without a beta. It was obviously painful for our fans and for us. But it won't happen again. There are things we put in place to make sure that we know everything, how it stands up outside and in the wild." After the obvious succes of the Halo 5: Guardians beta, I couldn't agree more with this decision.